We are pleased to announce that we have signed race-winning young gun Ash Sutton to drive alongside Jason Plato and James Cole for the forthcoming season of the 2017 Dunlop MSA British Touring Car Championship. Ash, 23 from Hertfordshire, comes to Team BMR from Triple Eight Racing with a year’s BTCC experience after finishing the top rookie in 2016. Right from the outset Ash made his mark on the championship with an impressive 4th place finish on his BTCC debut at Brands Hatch back in April last year and his success continued throughout the season leading to his maiden win in a very wet race three at Croft. There were two further podiums, two pole positions from qualifying and two fastest racing laps. On finals day back in October he lifted the coveted Jack Sears Trophy after finishing top rookie, a championship he led for the whole of 2016. Speaking of his signing Ash commented “I am over the moon to be offered such a great opportunity. I joined the Team BMR Academy at the end of the 2014, signing a two-year deal to race in the UK Clio Cup Championship, with a view to working our way up through the 2015/16 seasons. That two-year deal soon turned into one, and 2016 saw me sat in a BTCC Car. Not for one second did I think that two years down the line I would be a part of the BMR factory team; let alone with such a newly bred BTCC manufacture as Subaru. I thought I had hit the jackpot in my debut season in securing a manufacture drive; but now being a part of Subaru, and the package that comes with that, has certainly topped it for me. 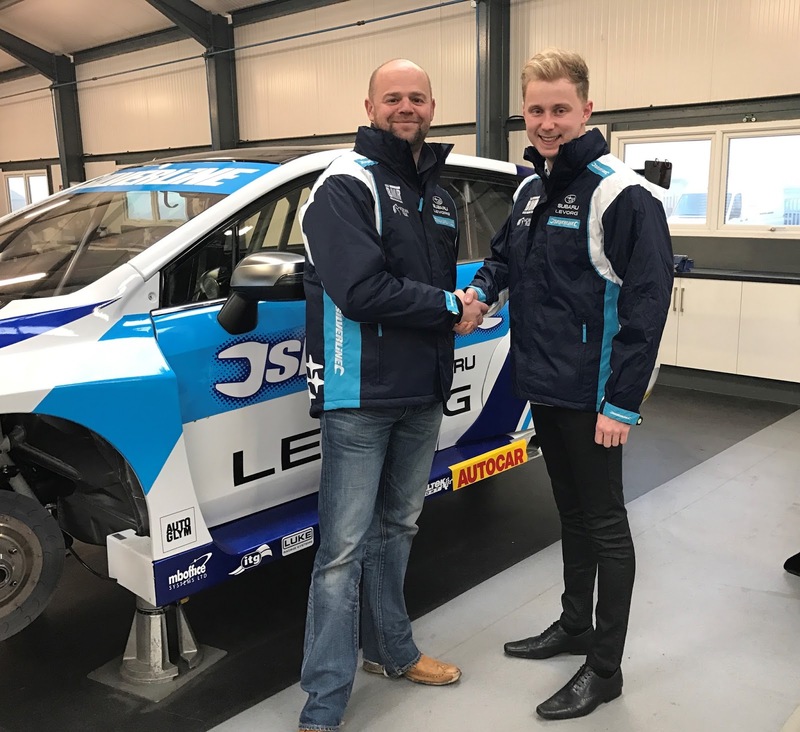 James Cole joined the team in 2016 after switching from Motorbase Performance and will remain with BMR for a second year in what will be his fifth season in the BTCC. James brought a wealth of knowledge to the team last year which hugely assisted us in developing the Subaru Levorg GT in its debut year in the championship and confirmed this with a fastest lap during race two at Silverstone. James has already completed a two day test at Donington Park since the 2016 championship ended where he gained valuable data for the team. James said "Winter testing was a revelation. I worked with Jason's engineer, Carl Faux, and WOW, it felt like I was in a racing car again. It just felt right - the balance, my confidence. I can't wait to get back in the car and build on what I learnt in testing. I need to deliver for the team and myself. Jason and Ash are quality team mates and I relish the challenge to work and compete with them and help Team BMR to win the driver and team championships in 2017." All of us at Team BMR are looking forward to the BTCC season getting underway at Brands Hatch Indy Circuit on April 1st & 2nd.